Marla Ahlgrimm says that many women feel their life is over during menopause. Aches, pains, and feelings of fatigue often leave women reminiscing about the way they felt in their youth. But it doesn’t have to be that way. According to pharmacist, Marla Ahlgrimm, Women’s Health America – a company she founded to serve the specific needs of women – sees patients every day who believe these and other symptoms are a natural part of the aging process. It’s not, she says – not always. The National Thyroid Institute reports that hyperthyroidism and hypothyroidism may be the cause of some women’s PMS and menopause-like symptoms including weight gain, painful joints, and chronic fatigue. There are several tests, Marla Ahlgrimm explains, that can identify whether a woman’s issues are truly a hormone imbalance or a problem with the thyroid gland. Thyroid testing may not be covered by person’s insurance, according to Marla Ahlgrimm. However, the test to determine thyroid function is getting more efficient and less expensive every day. 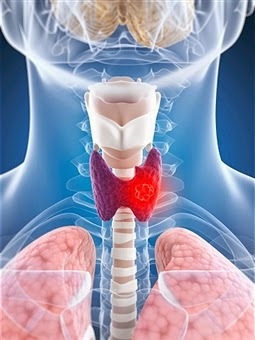 A thyroid test includes the TSH level as well as two types of markers, T3 and T4. These regulate the body’s metabolism of sugar, protein, and fat. Marla Ahlgrimm emphasizes that thyroid testing is extremely important for women over 50. An underactive thyroid, which may be caused by an underlying autoimmune disorder, can add stress to an already aging body. As a pharmacist, Marla Ahlgrimm has often advised her patients to talk to their doctors about hormone replacement therapy for thyroid issues. She explains that one popular pharmaceutical, Synthroid, has been used for years to effectively treat thyroid concerns. Other HT options include natural or desiccated thyroid under the brand name Armour Thyroid. Regardless of the treatment method, Marla Ahlgrimm emphasizes that proper monitoring and care is vital to maintain the thyroid and ensure that it allows the body to do its job properly.